Blann, K., and S. Light. 2000. The path of last resort. Adaptive environmental assessment and management AEAM Nine heuristics of highly adaptive managers. Retrieved from: http://www.iatp.org/AEAM/primer.htm. Capper, P., and B. Williams. 2004. Enhancing evaluation using systems concepts. American Evaluation Association. http://users.actrix.co.nz/bobwill/activity.doc. Accessed 3 Aug 2014. Fazey, I. 2010. Resilience and higher order thinking. Ecology and Society 153: 9. http://www.ecologyandsociety.org/vol15/iss3/art9/. Fischer-Kowalski, M., and J. Rotmans. 2009. Conceptualizing, observing, and influencing social–ecological transitions. Ecology and Society 142: 3. http://www.ecologyandsociety.org/vol14/iss2/art3/. International Risk Governance Council. 2012. 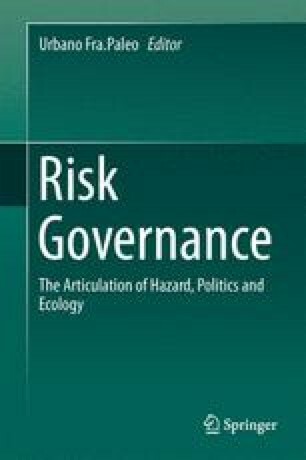 Risk governance deficits – Project overview. Retrieved from: http://www.irgc.org/-Risk-Governance-Deficits-.html. Walker, B.H., J.M. Anderies, A.P. Kinzig, and P. Ryan. 2006. Exploring resilience in social-ecological systems through comparative studies and theory development: Introduction to the special issue. Ecology and Society 11(1): 12. http://www.ecologyandsociety.org/vol11/iss1/art11.